What is the Upsell Hero? Question: What is the Upsell Hero app? 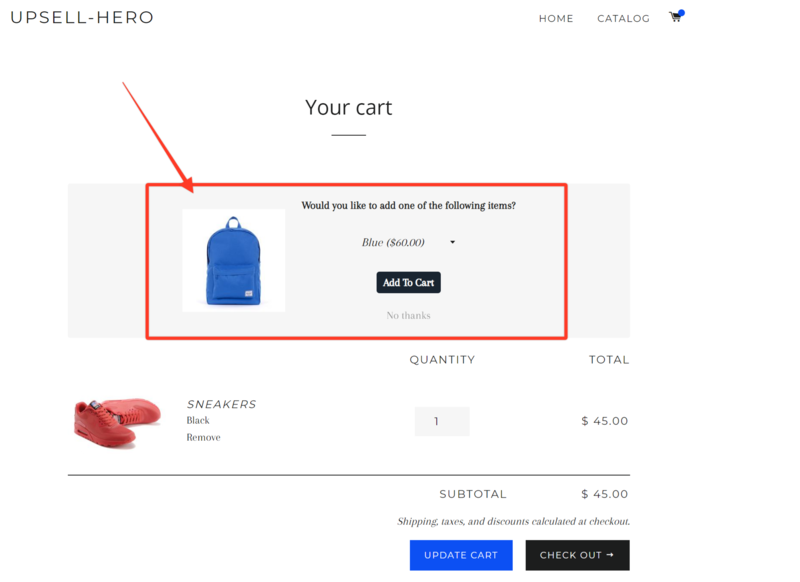 Answer: The Upsell Hero is an app that effectively boosts your sales by allowing you to create upsell or cross-sell offers when a customer puts a product into his cart. This makes your products become visible to your customers and creates a big chance of turning it into a sale since they become aware of the other good things your store can offer.